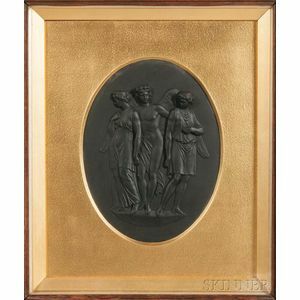 Wedgwood Black Basalt Plaque, England, 19th century, oval shape with three classical figures in relief, impressed mark, approx. 6 1/4 x 8 1/4 in. 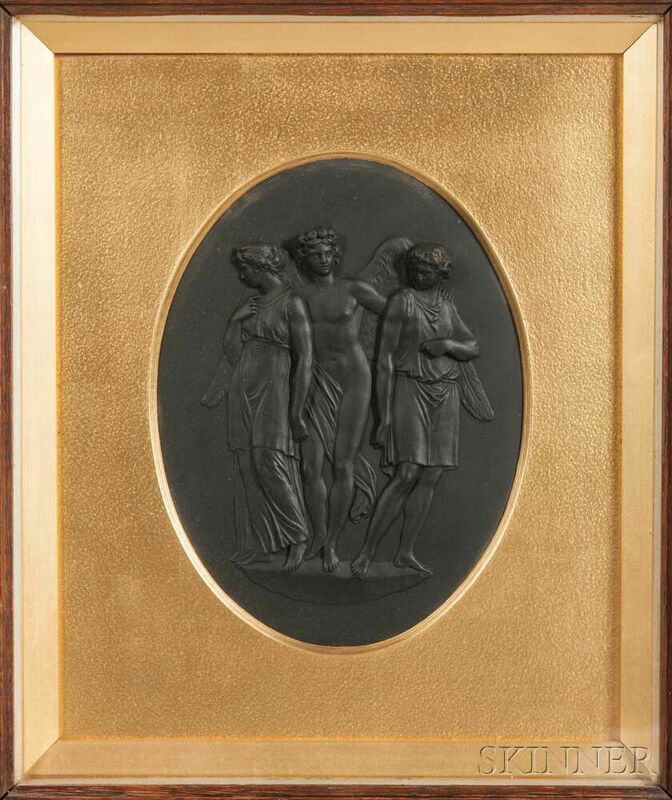 ; set in a wood frame.